This wonderful map reveals just how crowded our Universe is. 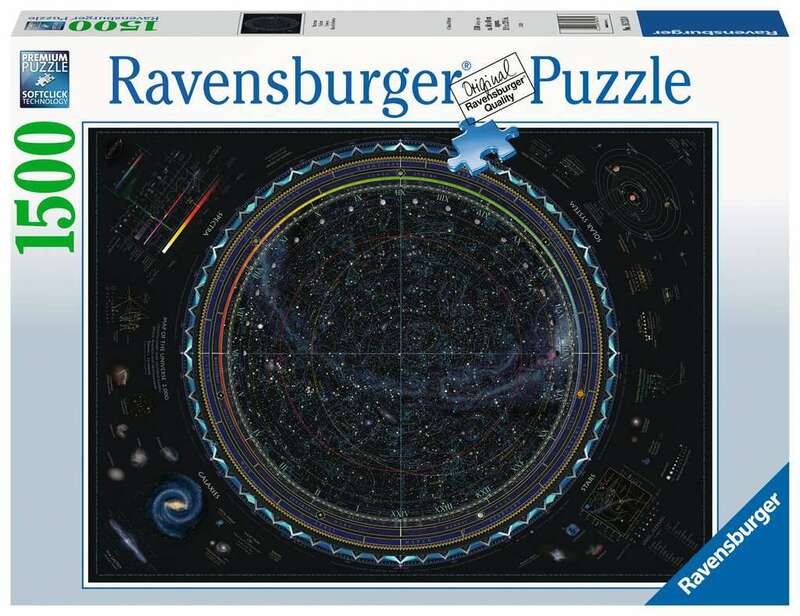 As you piece together the puzzle, discovered details of galaxies, solar systems, stars and constellations. The simple colour palette and complex design will give you a stellar puzzling challenge!